Sheep were washed in rivers before going to market. This could improve their price. Sometimes the Shepherd and Farm Workers stood in barrels in the river to navigate the sheep through the water. 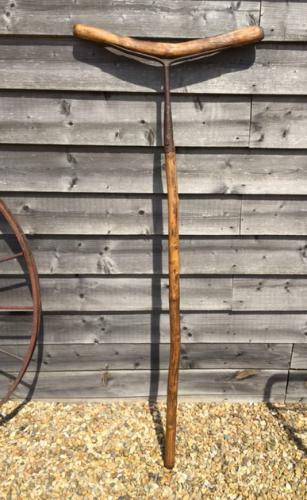 This Wash pole is nice and early with original rustic pole and head. It would be used to push the sheep through the river.